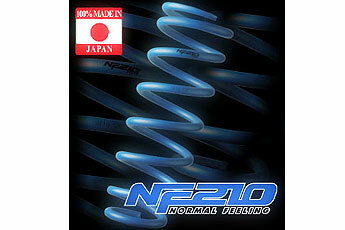 I have a Brand New set of Tanabe NF210 Springs for sale.. for the 2006 IS350. I do prefer to sell these local here in So Cal with a cash transaction. If I have too, I will ship at buyers expense + plus paypal fees.. The box weighs about 25 lbs.. The below product information is direclty from Tanabe's Website. This coil spring is extremely popular with luxury tuned vehicles, as well as those with larger diameter wheels that want to eliminate fender gap, but maintain excellent drivability while reducing the risk of damage to wheels that is associated with stiffer suspensions. Last edited by Joe Z; 09-25-06 at 09:59 AM. Reason: Springs are SOLD!! still for sale sir?..willing to come down a lil in price?..i want to get them..bday gift to myself.. Check PM. I live locally in Hermosa Beach. thanks. I am willing to ship at buyers expense.. I'm not interested, just a suggestion. I think you have to lower the price down. MSRP is for these approx. $290 - Most online stores are selling them for around $220-260 (plus tax if applicable and shipping)..
Not including group buy vendor pricing. Anyone in So Cal can get these from me, right now for $225 cash pick up or I will ship at owners expense if anyone outside of CA is interested..
what's a typical cost of installing springs? Last edited by duckduck; 09-01-06 at 10:52 PM. Thanks for the thread jack buddy... Much appreciated!!! Last edited by LexFather; 09-04-06 at 08:09 PM. Not sure - maybe about $250-$275 from a good shop and you'll need a wheel alignment as well..